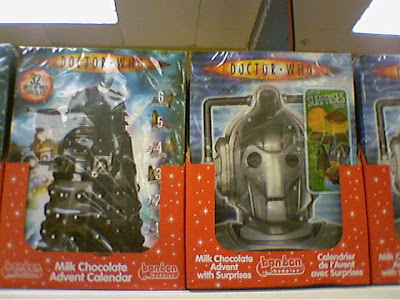 Dalek and Cyberman advent calendars! Who'd have thought it? Verity Lambert died yesterday. I bet she never did. Oh no, now we're torn. We hadn't been going to get a chocolate advent calendar this year because the chocs are always so awful - yet how can we now resist?